What Do We Know About Wildfire Attribution And Climate Change? 2018 has been a grueling year for wildfires in the western U.S. More than 7 million acres have already burned in wildfires this year (1.5 million more than the average at this date). Record-setting wildfires have been recorded in California and Colorado in the U.S., as well as in British Columbia in Canada. New record-breaking temperatures, droughts, floods, and insurance payouts, seem to occur every day – begging the question, is climate change driving these record-breaking wildfire years? This question was recently spotlighted when U.S. Department of the Interior Secretary Ryan Zinke attributed increased fire activity to decreased forestry operations (e.g., logging), more than climate change (Fountain, NYTimes 2018). We seek to clarify attribution by reviewing the latest research on if and how climate change may be contributing to wildfire activity. Wildfire attribution research is entering a new era. Fire science is a mature area of research with well-established connections between weather conditions, fuel aridity (the drying out of forests and other burnable ecosystems), and associated increases in ignition potential and fire activity. Climate models are increasingly mature, with the ability to tease out which climate signals are attributable to anthropogenic climate change. So, the opportunity has emerged to evaluate fire metrics (past and future) within climate models, producing information on which fire activity is more likely as a result of warming climate. 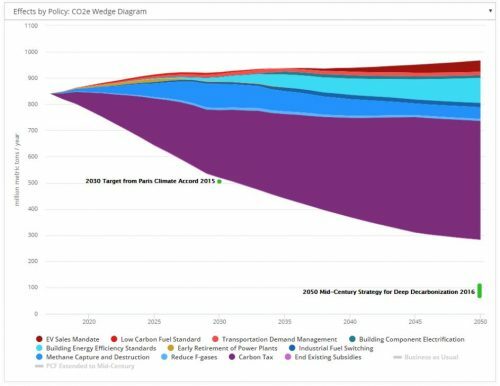 At this point, attribution and projections are only possible on regional or larger scales, and do not attribute individual fires to human-caused climate change. But they do allow us to reflect on existing changes in fire activity, and prepare for a more fiery future. One recent study on wildfire attribution by Abatzoglou & Williams (2016) analyzes exactly how anthropogenic climate change is exacerbating the drying out of forests, and therefore driving increased fire activity in the western U.S. The study attributes nine additional days per fire season with high fire potential between 2000-2015, a doubling in dryness of fuels between 1979-2015, and roughly half of the forested area that burned between 1984-2015 (approximately 10 million acres – the size of Massachusetts and Connecticut combined) to drier conditions caused by anthropogenic climate change. Increased dryness of burnable fuels is due not only to increasing average temperatures, but also to changes in snowmelt timing and decreases in spring precipitation. The drying out of forests was especially pronounced in the intermountain West, as opposed to along the coasts (Fig. 1). Researchers in Canada are finding much the same. Increasing temperatures due to global warming are poised to outstrip any potential increase in rainfall, resulting in drier forests, and more frequent and intense wildfires (Wotton et al. 2017). Figure 1. 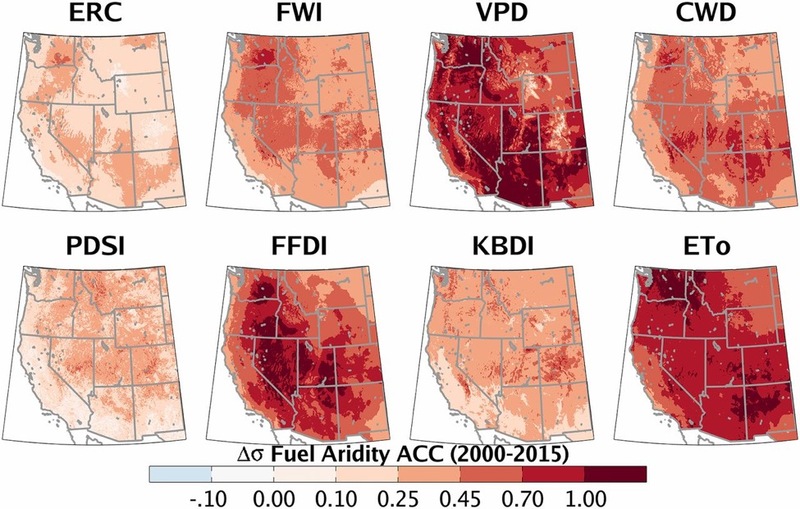 Increases in eight metrics of aridity (i.e., drying out) of fuels in the western U.S. between 2000-2015. The highest increases (at least two-thirds of observed increases) were found among the forest fire danger index (FFDI), vapor pressure deficit (VPD), and evapotranspiration (ETo) metrics. (Abatzoglou & Williams 2016). Larger, more severe wildfires will make regeneration harder for forests – seed sources from remaining trees are farther away, and the heat of extreme fires can volatilize soil nutrients, effectively sterilizing the soil so nothing can reestablish for long periods of time. Thus, the legacy of more severe fires can last for centuries, significantly diminishing the carbon carrying capacity of once-forested ecosystems (decreasing by as much as 73 percent over 500 years) (Liang et al. 2017). Certain forest types are especially susceptible to new fire activity, frequency, and carbon carrying potential. Projections show that mid-elevation forests are more likely to be impacted by climate change-driven fire activity, since many of them have not adapted to frequent fire behavior in their natural histories. For instance, spruce-fir forests and Douglas-fir dominated forests will be more at risk of transitioning to non-forests, because they don’t have persistent seed beds in the soil, or the ability to regenerate by sprouting from their root systems. Consequently, certain forests characterized by these forest types, such as those covering the Sierra Nevadas, are projected to turn from a valuable carbon sink to a carbon source in the coming centuries (Liang et al. 2017). Skeptics of these kinds of attribution studies will point to the argument that forests are much denser now than in the past due to concerted wildfire suppression tactics over the last century, and that it is these denser forests (i.e. fuel-loading) driving increased fire activity. This may be true for certain forest types (for example, ponderosa pine-dominated forests, which are adapted to frequent fires), but not for others (Schoennagel et al. 2004). Thus, selective forestry operations (thinning, etc) will be part of the solution, but those efforts should be targeted to appropriate forest types and locations, and will not in isolation lessen increasing fire activity. Humans have a long standing relationship with fire on the landscape. For thousands of years, humans in North America have used wildfire as a resource management tool – to hunt, to shape ecosystems, and in agricultural practices. That legacy is still alive and well, despite this last century dominated by fire suppression. Private land owners and public agencies alike have been embracing prescribed burns and selective forest thinning operations in strategic locations to create fire breaks, which have proved themselves time and again as invaluable in slowing the progression of fires near settlements. 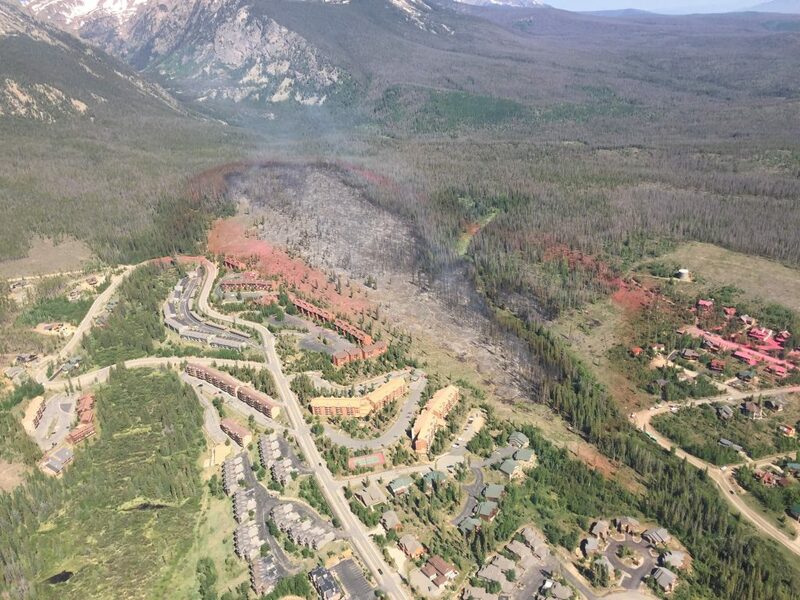 Fire breaks like the one in the image to the right saved homes and resources totaling a value of nearly $1 billion during the Buffalo Fire in Summit County, CO this summer (Adams 2018). But even these more progressive and proactive fire management techniques may prove insufficient in the future (Stephens et al. 2013). Scientists project that even small increases in temperatures and fuel aridity will create exponentially more fire activity (Wotton et al. 2017); and that doesn’t even account for projections of increased lightning activity (to rise in the U.S. by around 12 percent per degree Celsius average temperature increase) (Romps et al. 2014). This increased risk of lighting is important to consider, because while humans notoriously cause the majority of wildland fires (on average over 85 percent), lightning-caused wildfires actually account for the majority of acres burned each year (over 60 percent) (NIFC 2018). Increasing fireline intensity could very rapidly outpace our financial and technical ability to suppress out of control wildfires. Wotton et al. (2017) projects that a 15 percent increase in overall fire occurrence would require a doubling of resources; and that regardless of additional resources, there is still projected to be a doubling in frequency of fires so intense that they can’t be controlled even by large air tankers, rendering them unmanageable. Wholly new strategies for mitigating future wildfires will be essential (Stephens et al. 2013). Making additional resources available to manage these wildfires is by no means a small ask – the cost of firefighting is staggering. A single fire can easily top a million dollars to contain, and often much more – for instance, the Mendocino Complex Fire (currently the largest wildfire in California’s state history, at over 450,000 acres) cost $189 million simply to bring under control, excluding costs of lost property and productivity (278 homes were lost, and 12 communities were evacuated). Firefighting operations already account for over half the annual U.S. Forest Service (USFS) budget, and once fire budgets have been overspent, additional costs have historically been paid for by “borrowing” from other Forest Service programs (such as wildlife biology, recreation, archaeology, and others). 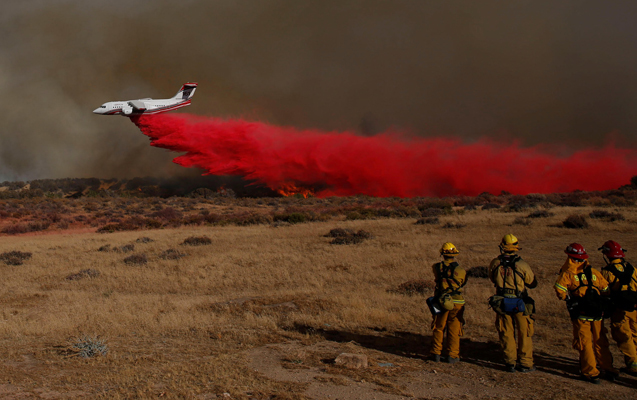 Thankfully, this detrimental “fire borrowing” approach will soon be replaced – starting in FY 2020, an additional $2.25 billion in emergency spending will be appropriated for firefighting activities, with an annual increase of $100 million through 2027 (Christiansen 2018). Wildfires already impose a remarkable burden on society. The USFS recently conducted a comprehensive review, and found that the economic burden from wildfires costs tens to hundreds of billions of dollars every single year (Thomas et al. 2017). Looking forward, it is clear that anthropogenic global warming will cause drier fuels, and therefore more frequent and more intense wildfires. It is likely these fires will outstrip our current firefighting tactics. Not only will land managers and wildland firefighters need to engage in more prescribed burning and selective thinning operations, they will also need to develop new and creative technologies and tactics for confronting a more fiery future. Abatzoglou, J.T. and Williams, A.P., 2016. Impact of anthropogenic climate change on wildfire across western US forests. Proceedings of the National Academy of Sciences, 113(42), pp.11770-11775. Liang, S., Hurteau, M.D. and Westerling, A.L., 2017. Potential decline in carbon carrying capacity under projected climate-wildfire interactions in the Sierra Nevada. Scientific Reports, 7(1), p.2420. Romps, D.M., Seeley, J.T., Vollaro, D. and Molinari, J., 2014. Projected increase in lightning strikes in the United States due to global warming. Science, 346(6211), pp.851-854. Schoennagel, T., Veblen, T.T. and Romme, W.H., 2004. 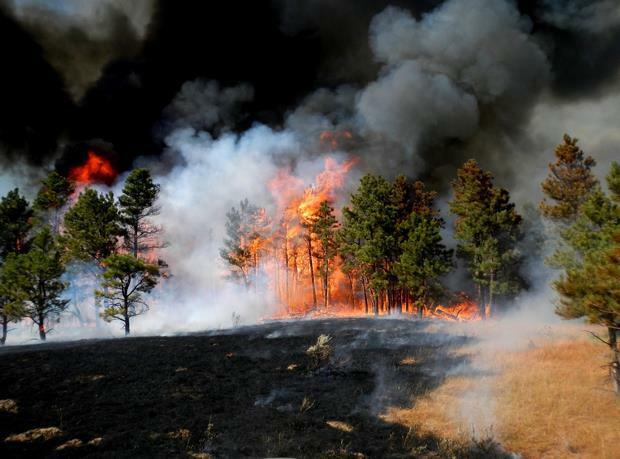 The interaction of fire, fuels, and climate across Rocky Mountain forests. AIBS Bulletin, 54(7), pp.661-676. Stephens, S.L., Agee, J.K., Fulé, P.Z., North, M.P., Romme, W.H., Swetnam, T.W. and Turner, M.G., 2013. Managing forests and fire in changing climates. Science, 342(6154), pp.41-42. Thomas, D., Butry, D., Gilbert, S., Webb, D. and Fung, J., 2017. The Costs and Losses of Wildfires (No. Special Publication (NIST SP)-1215).